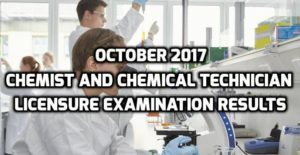 From the latest shared information through the official website of the Professional Regulation Commission (PRC) on Wednesday, the commission already revealed the names of those who passed the recently concluded October 2017 Chemist and Chemical Technician Licensure Examination taken from October 23-24 this year. According to the PRC, about 1,195 applicants took the board exam for Chemist and only 526 passed the examination. 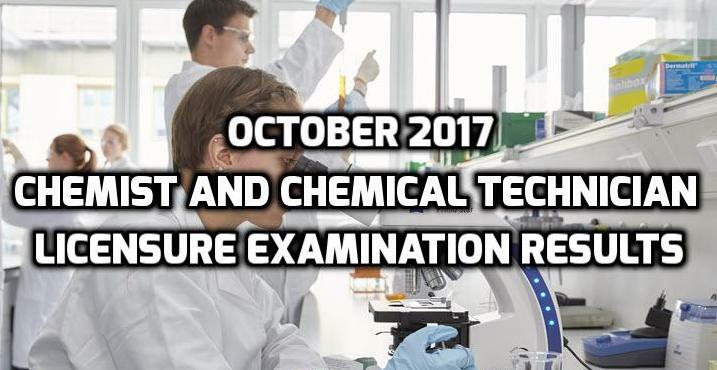 As for the Chemical Technician board exam, there are 845 applicants and 720 passed the examination. The chairperson and some designated members of the PRC’s Board of Chemistry administered the scheduled 2-day exam held in Cagayan de Oro City, Cebu City and in Metro Manila. The commission was able to release the name of passers after 2-working day of the final scheduled board examination.